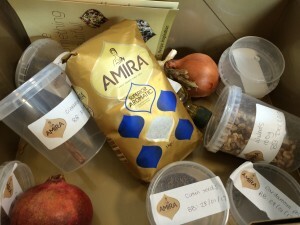 A while ago I was contacted by the chaps at Amira rice, asking if I’d like to receive a few recipes and some samples of their rice to try. 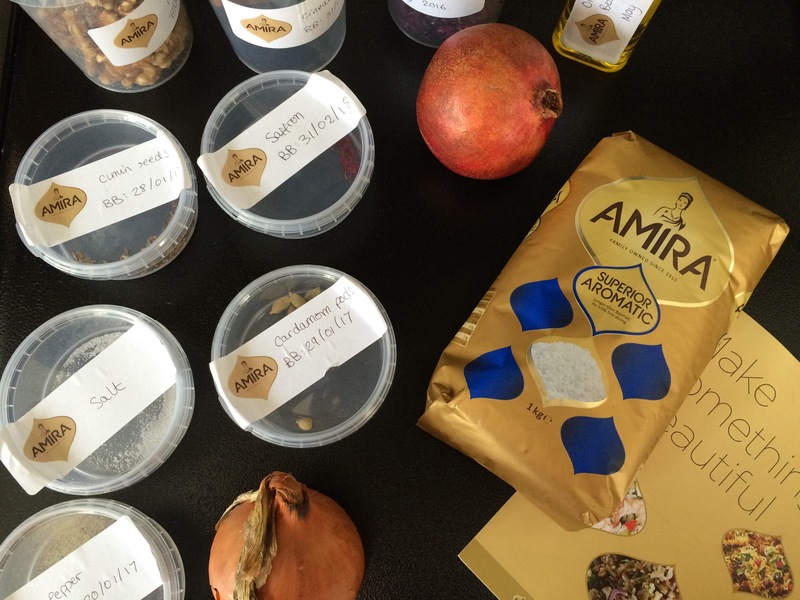 I said yes, not expecting to receive a large box filled with portioned containers of each ingredient I would need to make one of their recipes: Jewelled Persian rice with pomegranates, walnuts and parsley, along with a detailed recipe. 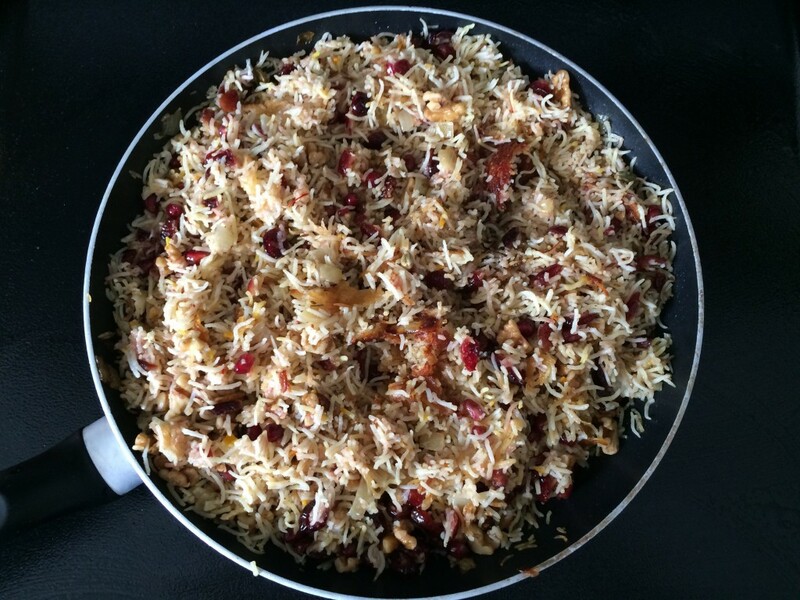 I love rice dishes, and the pictures of the Persian rice looked beautiful, flecked with ruby red from pomegranates against the yellow saffron-stained rice. I was very keen to make it, even though the recipe required steaming the rice which always scares me as I never believe rice will actually cook without being boiled to death in salted water. Boringly, you have to start by soaking the rice for an hour. 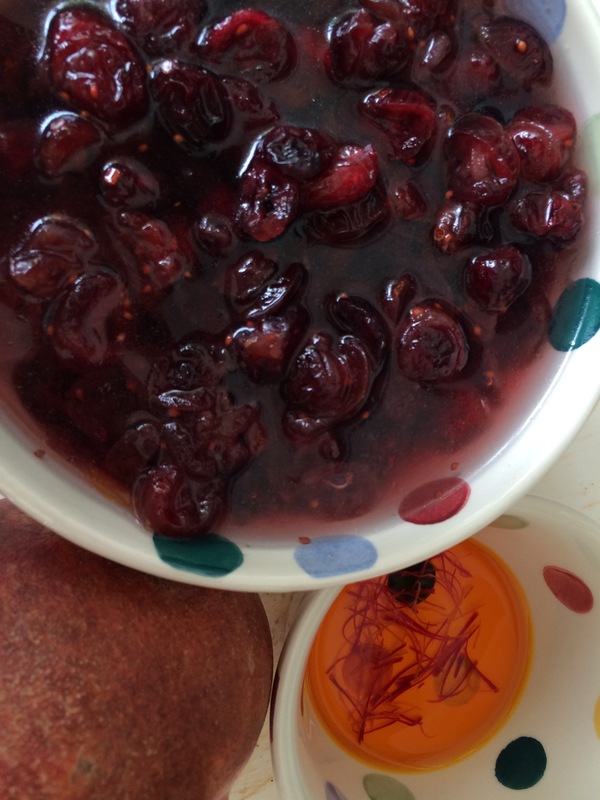 Luckily I read the recipe in advance as the cranberries and saffron also require soaking. The ingredients, when they do finally meet eachother in a pan, take a good hour to cook together, so you need to plan to make this dish: don’t expect to whip it up after work for a quick dinner. I was extremely impressed at how the jewelled rice turned out: the steaming worked out perfectly and the rice didn’t burn on the bottom of the pan, but created a buttery crust as promised. I thought the Amira rice was delicious and I used more of it to create a Vietnamese rice recipe with prawns the following week (I need to tweak the recipe a bit more before I share it with you) and the rice again performed very well – each grain remained separate and fluffy and had a lovely aromatic flavour, rather like jasmine rice. I have listed the ingredients in the quantities I used below (as these were supplied to me by Amira) but this makes a huge portion – probably enough to feed 8-10 people! Andrew wasn’t keen on the sweetness of the dish, so I took it for packed lunches at work (in my lovely new Monbento lunchbox) and it lasted very well (and was delicious cold). I have also frozen a few portions (there was so much) and so I’ll update this post to confirm how well the dish freezes. I received a bulb of garlic with my box of ingredients, but no instructions as to what to do with it, so I didn’t use it in my recipe. However, I think next time I’d add a crushed clove or two to the onion and spices when I fry them. Also there was no orange with my ingredients so I didn’t bother adding the zest of one to my rice. Rinse the rice under running water, then soak in cold water for 1 hour. Put the saffron seeds in a small bowl and cover with two tablespoons of boiling water and then set aside to soak. Put the cranberries into a small bowl and cover with boiling water and set aside to soak. 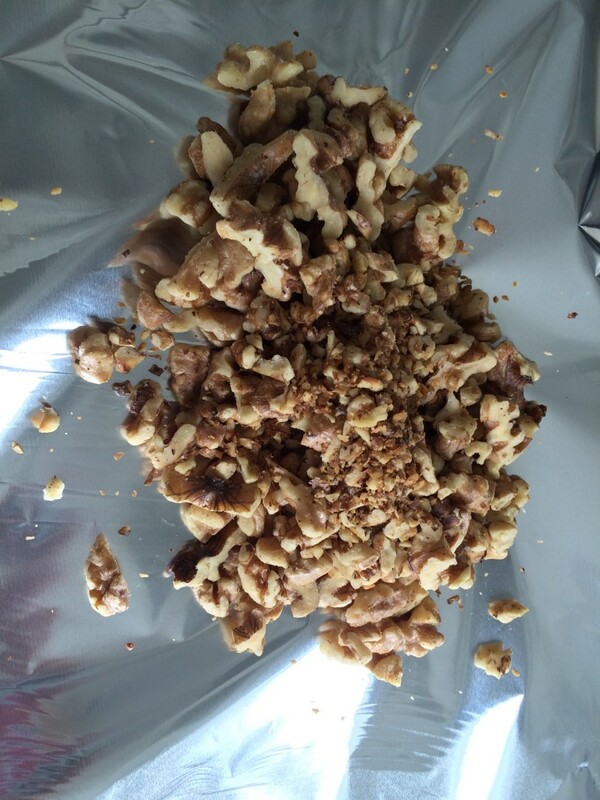 In a large frying pan (which you will use later to cook the rice), dry fry the walnuts to toast them. When you can smell the nuttiness from them, remove them from the heat and put into a bowl with the pomegranate seeds and parsley. Keep an eye on the nuts as they can catch quickly and be ruined (I speak from past experience!). Now melt the oil and half the butter in that same large frying pan (I am saving you some washing up! 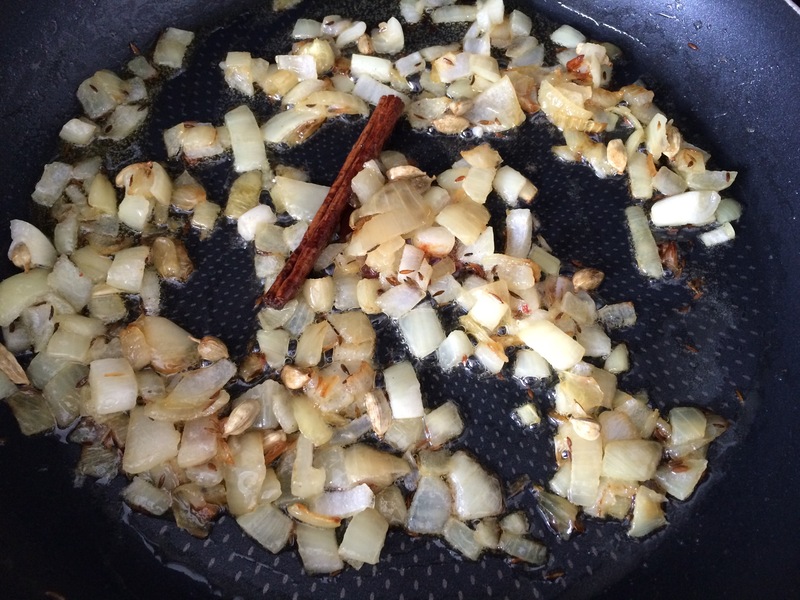 ), then add the onion, cinnamon, cardamon and cumin to the pan and fry over a low heat for 30 minutes until the onion is soft and lightly caramelised, then turn off the heat. Normally I’d try and take shortcuts here and fry the onion on a high heat, but I didn’t as I had to wait for the rice to soak anyway. I am sure this slow cooking of the onion and spices made a difference to the final dish so I recommend you don’t take the lazy option either and take your time to fry the spices. After your rice has soaked for an hour, drain it and put it in a saucepan and cover with boiling water to 3 centimetres above the rice and boil for 3 minutes. Drain and rinse under cold water. Again, I was tempted to skip this step to save time and washing up, but I thought I should follow the recipe properly as I had received all of the ingredients! 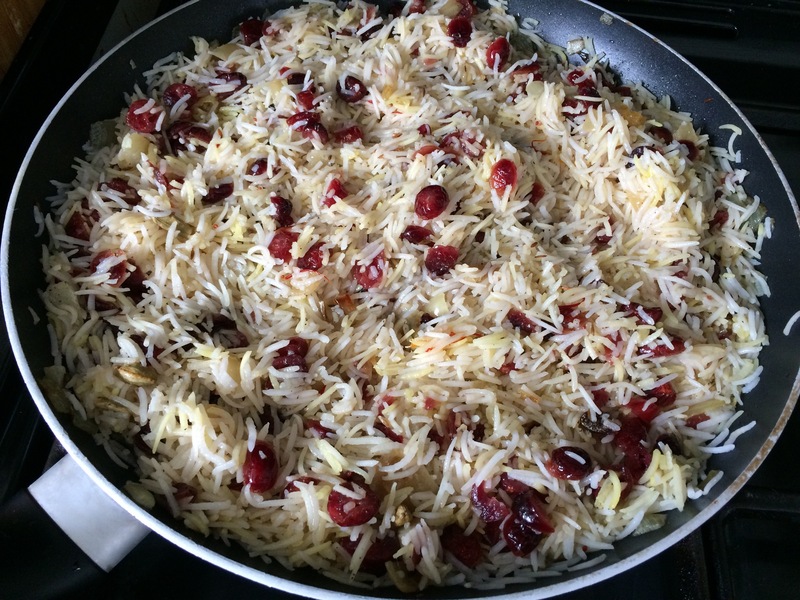 Stir the cooled rice into the pan with the onions and spices, turning the heat back on low, along with the saffron and cranberries and the water both had soaked in. Season with salt and pepper, stir well, and then dot the surface of the rice with the remaining butter. Make some holes in the rice to the bottom of the pan using the end of a wooden spoon – apparently this helps the rice to steam evenly. 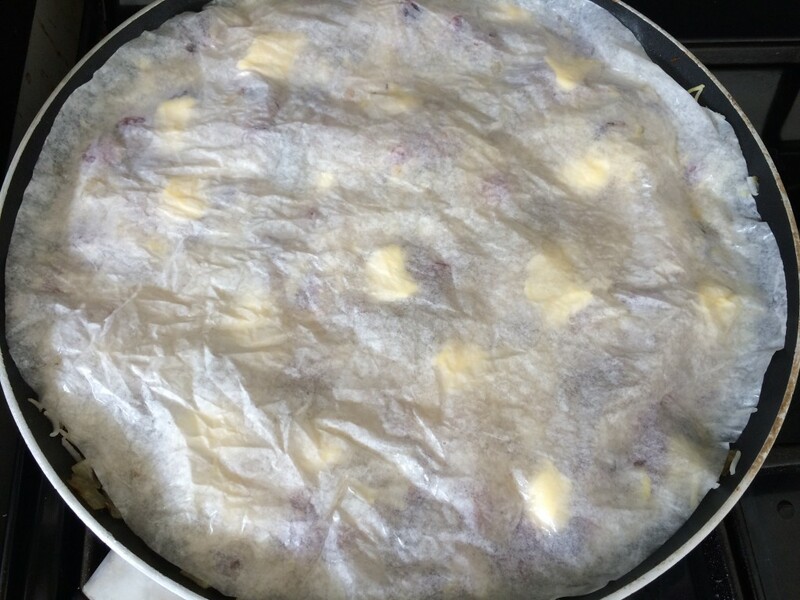 Then make a lid for the pan using some baking paper cut to fit the frying pan – you need to screw up the paper and soak it in cold water, drain the excess water and then cover the rice with it. The paper should lay snugly over the rice. Then cover the pan with tin foil and cook over a very low heat for 40 minutes, undisturbed. I was gagging to uncover the rice to see if it was burning, but resisted and left it undisturbed as dictated in the recipe. After 40 minutes I took the foil and paper off the frying pan and added the walnut, pomegranate and parsley mixture to the pan, gently forking it through. 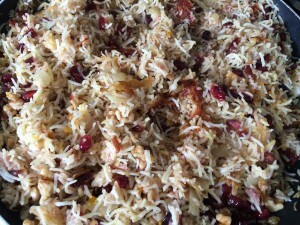 As promised in the recipe from Amira, the tahdig (the crunchy caramelised rice at the bottom of the pan) was not burnt and so I scraped it up and sprinkled it over the top of the rice (eating quite a lot of it during the transition from pan to plate). Serve immediately, although it’s very nice cold. Thanks to Amira for providing me with the ingredients and recipe. If you make the dish yourself you can share your feedback with them directly on their Facebook page. And let me know how you get on in the comments section below. 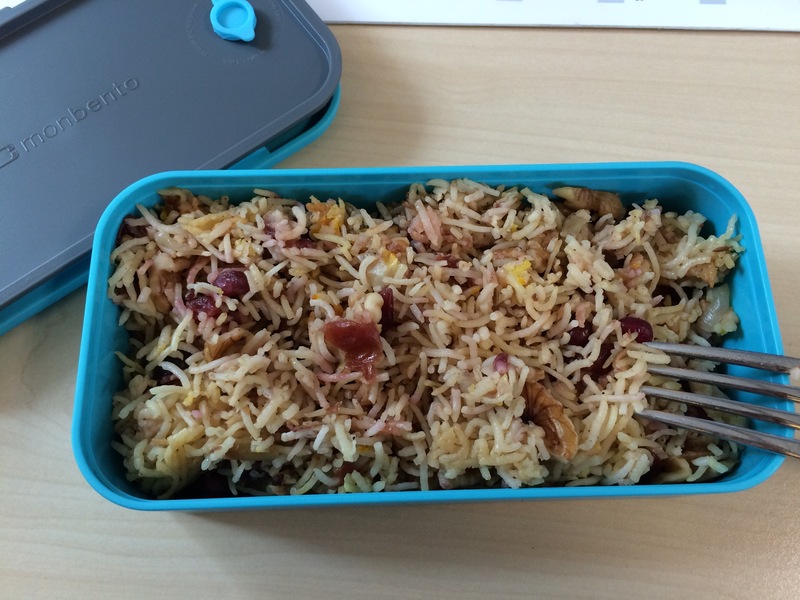 Fellow blogger Choclette put her own twist on the rice – you can read her version on Tin and Thyme. 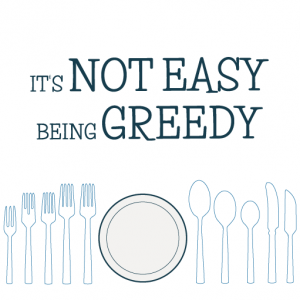 Well it just shows what pigs we are, it made four meals for us rather than eight, but we didn’t eat anything else, so ………! Impressive! 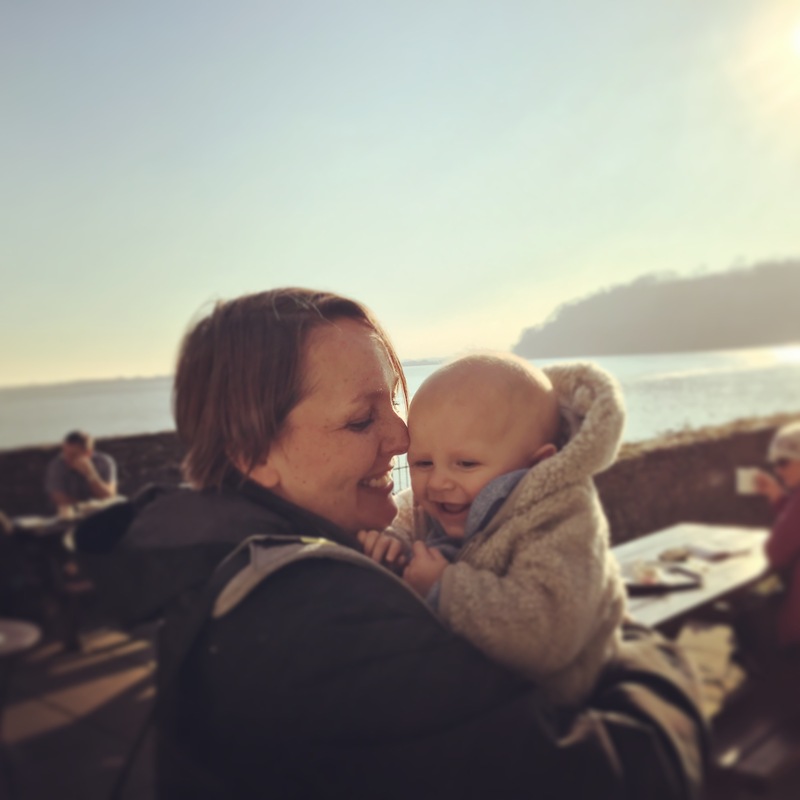 I was trying to be restrained – it’s healthy enough to be able to indulge! Gorgeous! My husband is the Persian rice maker in our house. He makes such a lovely, thick, gorgeous tahdig – but it’s not as fancy as this recipe. He usually just adds dried barberries to the mixture like this mother taught him. Oh that does look rather gorgeous and I want to bury my face in it. I am always happy to see anything with pomegranates in them. They are not used enough in cooking in my opinion. They are little juicy beauties – I often have them on oats and yoghurt for breakfast for a bit of sweetness. Or they are delicious with duck in a salad.